Analytics aren’t new to hockey but the debate over their importance still rages on, even though the quantitative evidence is front and center for everyone to see. The Toronto Maple Leafs, long resistant to the analytics wave, embraced it once Brendan Shanahan took over as team president and this season they are among the NHL’s hottest teams. The Pittsburgh Penguins made analytics a priority when Jim Rutherford was hired as GM in 2014 and last season they won the Stanley Cup. Were these developments entirely because of analytics? Absolutely not. Did analytics play a role in the success of these teams? Most certainly. Can analytics make you a better bettor? Without a doubt. Knowledge is king and when it comes to sports wagering, the more you know, the more of an advantage you have. Finding an edge, especially one below the surface of obvious stats, can make the difference in whether or not you cash a winner. Virtually every NHL team has implemented a director of analytics to supplement their scouting efforts in search of talent, both through the entry draft and in terms of upgrades via trades and free agency. The idea is that these advanced stats – often referred to as fancy stats by the holdouts and naysayers – provide an even better perspective on a player’s overall value to a team. Even some of the last holdouts among NHL teams have come around to their way of thinking. You won’t find an NHL team today that doesn’t at least dabble in analytics. 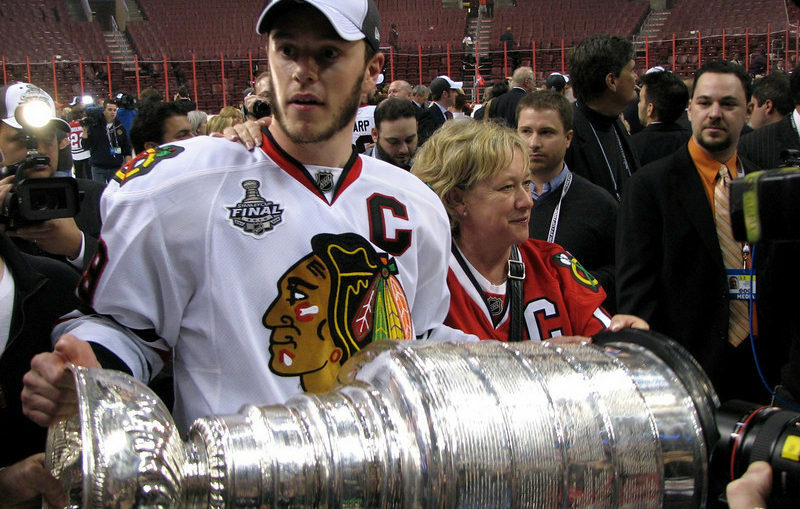 Chicago Blackhawks GM Stan Bowman was way ahead of the curve. He was utilizing analytics in making personnel decisions long before the vast majority of NHL teams, which may explain why the Blackhawks have won three Stanley Cups since 2010. Puck possession has always been an item considered of value in the game, which makes perfect sense. The team with the puck most figures to win the vast majority of games. These new analytics are so widely accepted in the game today that NHL.com, the league’s official site, lists them as part of its statistical package. To ignore the value of analytics can cost a team games, and it can cost you in your wagering decisions. The Colorado Avalanche are Exhibit A. The Avs, who were the last to the analytics party, are the NHL’s worst team in 2016-17. And that’s not a coincidence. Corsi Close, which measures puck possession, is the most well-known of these so-called fancy stats and a derivative of it, known as WOWY – with or without you – indicates which players are best suited as linemates or defense partners. For example, during the 2013-14 season the Los Angeles Kings won the Stanley Cup behind a strong Corsi performance from forwards Dustin Brown and Anze Kopitar. When the Kings’ tandem played together that season, the club produced a 59.4 percent Corsi rating.